"The love of a family is life's greatest blessing....."
To whom that read my post, if you come across someone, anyone who is looking for a house to rent in Penang Island, please recommend them for me. In return, you will be compensating with a very much attractive “package”, I bet you! 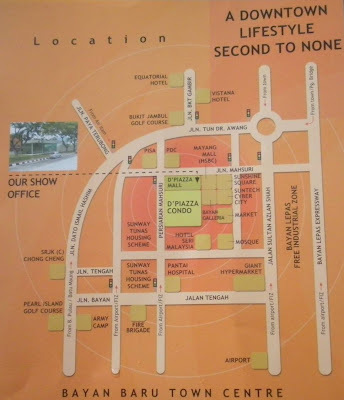 * Size : 1300 sq ft.
* Others : 1 living room, 1 kitchen, 1 dining area and 2 balconies. * Car park lots : 2 (indoor and very convenient as near to the lift). 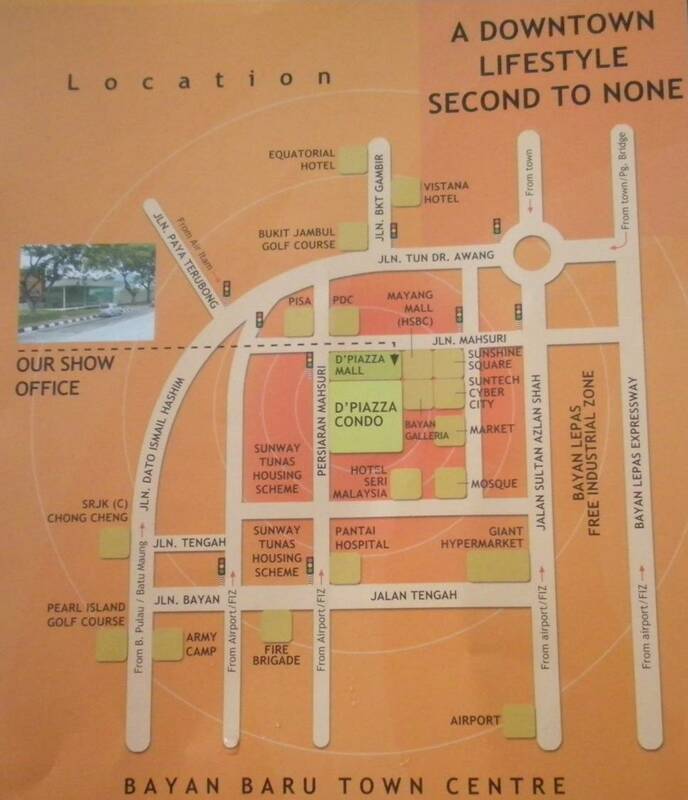 * The location of the house is at Bayan Baru; it is very near to Free Industrial Zone (where all the multinational factories are located), Bayan Baru wet market, Sunshine Square, Giant Hypermarket, Pantai Hospital, PISA, and PSDC. * The house is equipped with TV, sofa, fan, lighting, gas stoves, refrigerator, water heater (only fix at 1 bathroom), bed & mattress (only in master room). Do you think banner is important? Well, to me banner is a very important kind of piece of cloth as its bearing a symbol, logo, slogan and other message related to some event held or even a business details to introduce to the public. In olden days, when we want to make a banner we have to search for banner maker to do the designing as well as printing. And that will end up cost us a lot of money and it is rather time consuming too! But now with technology world, anything can be done via online. There are so many free banner makers available in the internet like www.puresilvabannermaker.com is one of the good examples. We can create and design our own custom banners by using their system. After done with the designing, we can save our artwork and bring it to printing shop to make the banner. Save time and save designing cost right! If you are planning to make your own event banner or business banner, why not take a look the above links and have fun to design your own creation of banner. Last Saturday when my wife and I went to Batu Lanchang wet market (afternoon/evening session) to do a little marketing we both stumble on the durian which label as “ang heh” (it is hokkien dialect which means red shrimp). 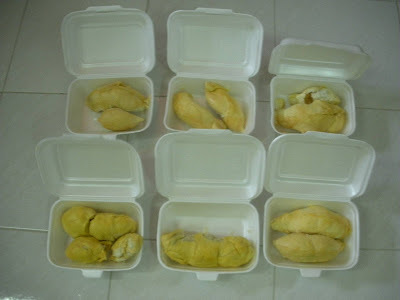 Since my wife hasn’t tried this brand of durian before, so we both bought 3 durians of that brand. Now the price of durian is a bit cheaper already. It could be ending of the durian season I suppose. Last Sunday (14 Jun), my wife and I attend my boss’s son (named Desmond) 5th birthday party. The party is started at 7pm but we reach his house at about 7:15pm. When we arrived, a few of my colleagues already there too! It is a buffet style of party, and there are varieties of good food already been served to guests. At about 7:30pm, we can see more and more guests are coming already and making the whole situation so merrier. Well, for adults, of course foods are all we enjoying for besides chatting and make new friends to each other. While for kids, they sure will have their own activities to play around. The cake-cutting ceremony took placed at 9pm. As usual, after the cake-cutting, Desmond was so excited to open up the gifts that he received. So, he and his friends are busy themselves with all those gifts. Wow! Ezy roller is the most preferable gift that Desmond received from his Uncle James. Desmond’s mommy is present him a personalized children’s plates where printed on the back of the plate with “Happy 5th Birthday to Desmond”; while Desmond’s daddy is present him a toddler backpacks where there is an embroidery of “Desmond” in front of the backpack. All those makes the gifts are so special and unique! About time 10pm, we (my wife and I) and some of our colleagues left the party. 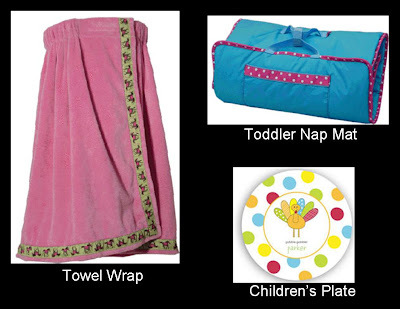 Towel Wrap, Nap Mat and Children's Plate As A Gift. I stumbled on this nice site called “Posy Lane” yesterday. You can find almost anything you need via this site related to gifts, invitations and embroidery. I show my wife the personalized towel wrap that she’s eagerly to have one when I was on business trip in United State last year. She asked me to buy one for her. Too bad, I can’t really find the taste that she likes and just managed to buy her a plain white towel wrap only! In the website, the towel wraps are so colorful and overall have nine colors and three sizes namely child, teen and adult. My wife loves the pink and purple towel. On top of that, Posy Lane do provide the embroider services, if we want to present this towel wrap as a gift to someone! Another item that I find useful is the toddler nap mat where it’s able to rolls up and has Velcro closure with carrying strap for easy to carry around during travelling. One adorable product that I wanted to share here is the melamine personalized plates for children where its dishwasher safe and also make of a super strong (BPA free) plastic. I think this is a great gift for children where we can embroider his/her name or some nice wording on the plate. Let’s take a look at this website, http://www.posylane.com/. Today would like to recommend to all my friends who stay near or in Penang. Kite Enthusiast of Penang has been established since year 2005. But due to lack of publicity and practice always in Pantai Bersih Bagan Ajam, not many people really aware of this club. KEOP affiliate to Malaysia kite council and many times has been represented Malaysia to join International kite competition in USA, Thailand, China, UK and etc… Feel free to drop by the website because you will feel fun on the website and I do encourage you and your family can join us flying kite. I’ve been missing in action for so long, finally I’m back to live! I quite busy lately after our management have make an announcement that 2 of our factory plants will be shutdown this coming year end and all products, equipments as well as employees will be transferred from Penang to another state. I need to work out with my boss related the equipments and head count that need to be transferred to there. Anyway, I will try my best to find some time to update my blog! As I mention in my Penangzone.com blog, my new hobby is to fly stunt kite. This season in Penang, it is kind of hard to have a strong wind blow during evening and night time except in the afternoon where the wind blows strongly. In order for me to have chance to play my kite, I have to fly it at afternoon then! Poor me, the sun at afternoon usually is very hot and the Ultraviolet (UV) radiation is the component of sunlight which is harmful to my skin and might cause sunburns and sometimes even get skin cancer. So normally before I started flying my kite, I will for sure to apply the Sunburn cream and wear my Nike sunglasses that I purchase online from Shop Wiki website. Look at my Kite. Are they beautiful or not? Here is my new Nike sunglasses. I’m also joining up the club “Kite Enthusiast of Penang” and also help to set up a website and designing member ID’s card. I really enjoy fly kite and every Sunday I will joining the team member to go to Pantai Bersih, Bagan Ajam, Butterworth to play kite. In traditional Chinese Culture, “Lichun” (立春) is a solar term marking the beginning of spring in East Asian cultures. 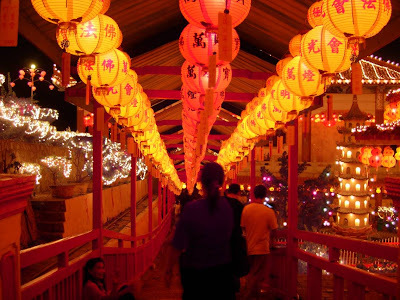 For Year 2009, Lichun is started on 21st Jan till 25th Jan. And Chinese New Year is celebrated around this time which falls on 26th Jan and 27th Jan.
During “Lichun” many temples in Penang will have a prayer (by monks) and “lantern-lite-up” ceremony. 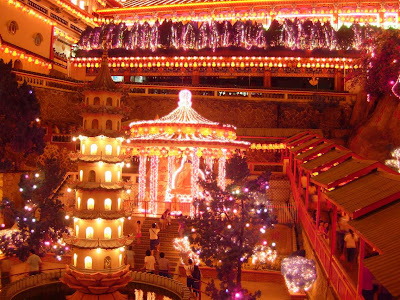 The purpose of the ceremony is to worship and offerings to the gods and ceremonies for a blissful and prosperous new year (2009). 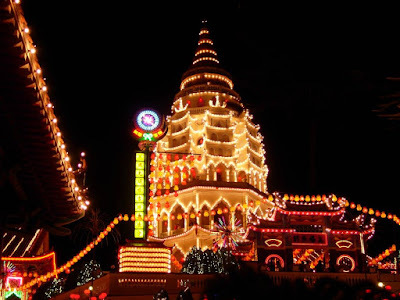 On 30 Dec 2008 (Monday), my wife and I, we went to Kek Lok Si Temple to make a donation for the “lantern-lite-up” ceremony on 21st Jan (which is the 1st day of Lichun). Upon making the donation, the person in charge in the temple will write down our name and our prayer or wishes in a piece of paper. My wife and I, we pray and wish for love, peace, harmony, healthy and prosperous New Year. Right after we make the donation, the person in charge handover this red packet for us. 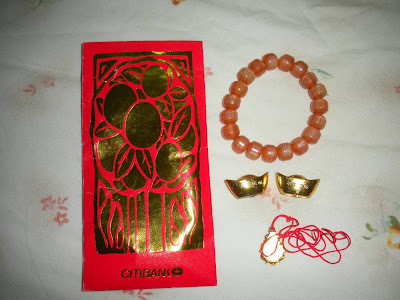 Inside the packet is consists of items like below picture. 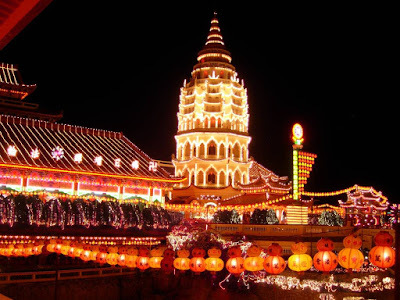 I would like to share a few photos of Kek Lok Si Temple that I taken during Chinese New Year 2007. 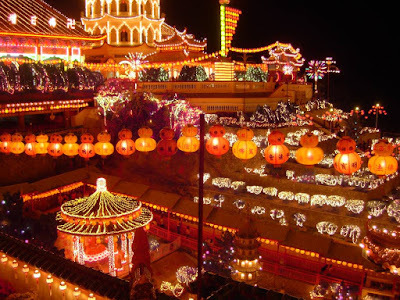 The temple is so impressive with thousands of lights. 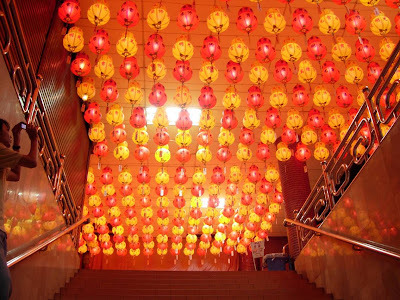 All the lanterns in the temple are the donations from Chinese community from Penang especially, other states in Malaysia and even from tourist. You die, up to you. You go anywhere. . I follow you. You go anywhere. . up to you . You go anywhere, better u got lost!! you get on my nerves. Roses are dead, I am blue. You get on my head, I sue you! You want to go, he says you wait-la! In the 20 century, almost everyone of us owned a credit card. For me, credit card is a MUST item as when I have a business trip to oversea, all the expenses like payment for hotel accommodation, car rental and etc is all done by using credit card. Usually, before ones have a business trip to oversea, our company will asked that employee to apply AMEX Corporate Credit Cards. AMEX has a very good reputation as well as a very good system. Everytime when I have my shopping especially in US, I got a special discount rate. For my personal usage credit cards, I have CITI credit cards, HSBC credit cards and Maybank credit cards. But so far I consolidate all my payment by using Maybank VISA card because it is a zero interest credit card when I did my purchase from retail stores. A lot of people actually owe money to credit cards but I suggest what we can do is to joining up all credit card balance transfer scheme. This will help to reduce some monthly or yearly interest. But I urged to all that do not owe any credits to bank. Buy whatever we afford to buy and don’t over spend. Good luck! Recently I have put on weight and that’s worrying me much. I was thinking whether or not to follow my wife to attend yoga class. Anyway, I’m still thinking as I’m not sure that I’m going to like yoga or not! What a big deal, I can always do other type of exercises instead of yoga right? But, due to I have slipped disc problem, I can’t do many types of exercises. According to doctor’s advice, yoga and swimming are suits me most. Since today is Saturday and I’m dillydallying at home doing nothing, so I log on to the shopping site Shop Wiki to look for yoga mat. I prefer to shop online via Shop Wiki as it has 30,000 stores compared to other shopping sites that usually have about 1,000 stores only. So I can find almost anything I need via Shop Wiki. Wow! 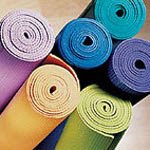 There are many types of yoga mat I found through Shop Wiki. Some with double sided mat; non-slip mat; some included with the shoulder carry strap and even they have yoga mat for kids. 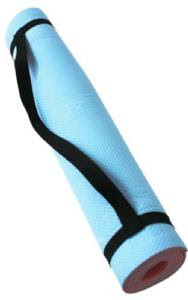 I showed the site to my wife and she is very fascinated by the Fitness and Yoga Mat. As this mat is suitable for her when she is calling the message lady came to do body message for her at our house. During last business trip to United States, I need to transit at Hong Kong. And the duration for the transit is 6 hours. It is a long hour to go! Luckily I have the privilege to enter the business lounges at the airport. In there, I can surf net and watching movies to pass my time. And the lunch provided is not bad too!